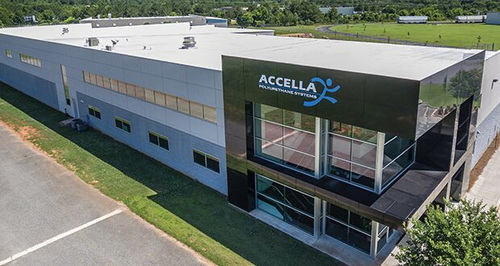 Accella Polyurethane Systems, LLC, a division of Accella Performance Materials, Inc., headquartered in St. Louis, MO, shapes the ideas that enhance our lives through improved comfort, safety, sustainability, and performance. As the leading independent polyurethane systems house in North America, Accella manufactures spray polyurethane foam systems for residential and commercial buildings. Our complete line of SPF wall insulation, roofing systems, and roof coatings are key for thermal, moisture, and sunlight protection. Accella’s SPF products provide the added benefits of durability, energy efficiency, and improved occupant comfort. Our industry leading SPF brands include BaySeal, Foamsulate, QuadFoam, and Accella Roofing Solutions.